If you are having your wedding at Bremer Farm and you want relaxed, authentic, warmhearted, timeless photos with natural tones you have come to the right place! Bremer Farm was built in the 1800's. Groomsmen Joe was born and bred in the country. Bremer Farm was then the perfect place for this bride and grooms country styled barn wedding and they were the perfect couple to photograph! Photography at Bremer farm can be under some Willows near an old stone wall, or out in the field. There are sheds, hay bales and a large pear tree for that country vibe. Another good spot for your photos is authentic ruins adjacent to where the wedding ceremonies are held. This is where this photo was taken. Natalie wore a lovely lace gown from Bridal on Pulteney which suited her free spirit and slightly bohemian style. The love these two share together and their playful interaction is a joy to photograph! I especially love the unique nature of this photo having never seen anything like it before. When photographing a wedding day I document the events and also provide images that are beautiful and fun to create. Pizza galore was served to the guests by the friendly staff of Adelaide Wood Fire Pizza's and guests were able to choose their own toppings to suit their taste and dietary needs. Next to the Adelaide Wood Fire Pizza caravan was Taco Cat's food truck with hand-sized tacos filled with goodness and gooey deliciousness! Between these two food vans it kept the guests raving about the food for weeks to come! Some friends of the family provided a medley of delicious desserts. A marquee was ordered for this day just incase it rained. They didn't need it in the end but there is space on the property for a large marquee in addition to the barn. 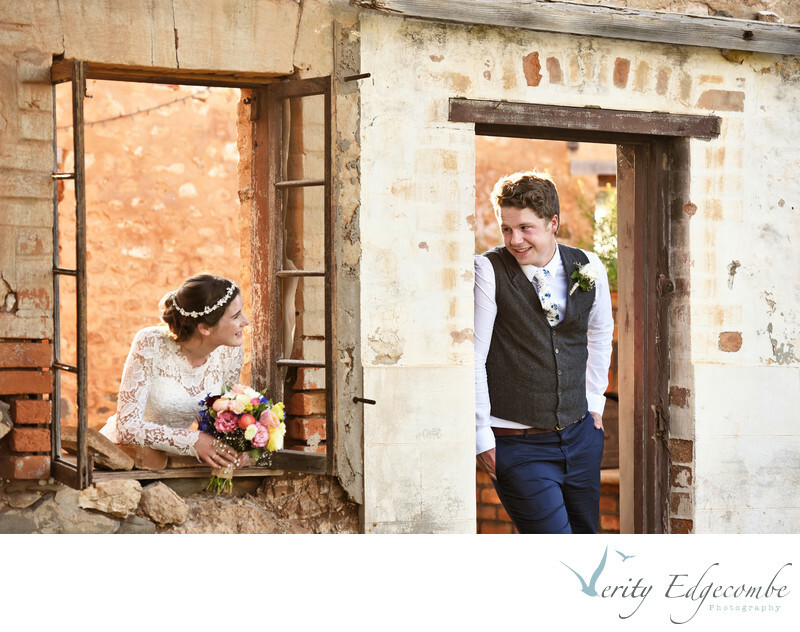 Verity Edgecombe Photography is contactable here. Location: 843 Callington Rd, Hartley, South Australia.